A group of students from Carnegie-Mellon university have devised an almost artistic method of displaying the levels of pollution in the air using large helium-filled balloons. Their method for doing so is extraordinarily simple, and the results are outstanding. The electronics required to measure air quality is simple – in this case they’ve used the popular PICAXE microcontrollers that each read the results from a particular type of air quality sensor, such as a diesel-exhaust sensor. The PICAXE converts the results from the sensor into a colour by controlling a powerful RGB LED – so red is bad, yellow is OK, green is good, etc. 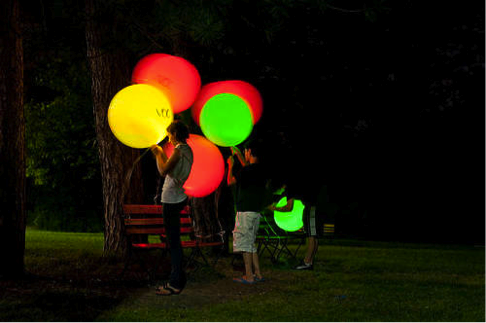 After making the circuit portable by powering them with a rechargeable lithium-ion battery, they are then tied to the neck of a large balloon. When reaching the area of use, the balloons are inflated with helium – and allowed to rise into the air. (Don’t forget to attach a line to the balloon if you want it back). Thanks! No, it’s custom built site on a wordpress framework. If you’re looking for new site we can help you out? You’ve made some respectable details generally there. My spouse and i looked online for that problem and discovered the general public should go in addition to using your site.